Brazil is a big country. Only four countries (Russia, Canada, China, and the United States) are larger. Brazil has the world’s largest rain forest. It surrounds the Amazon River and its tributaries as the river flows from the Peru border to the Atlantic Ocean. [Trace the route of the Amazon from Peru to the Atlantic.] Nearly all the rivers in the northern half of Brazil flow into the Amazon. Rain forests are home to thousands of kinds of plants, animals, birds, reptiles, and fish. Many are found nowhere else on earth. Some 70,000 different varieties of insects live here, and scientists haven’t even found them all yet! Samara [sah-MAH-rah] lives in northern Brazil. [Locate northern Brazil on a map.] 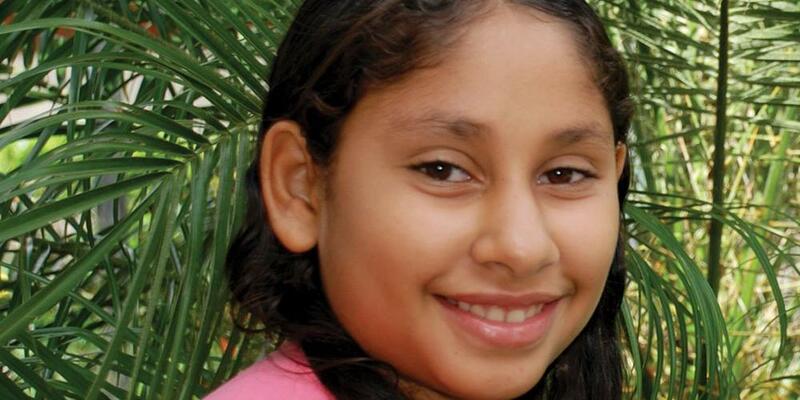 She was just 4 years old when she learned that children can make a difference for Jesus. One hot day Samara saw an old man selling Popsicles on the street near her home. She asked her mother if she could have one, and she gave Samara the money. Samara ran to buy the popsicle and saw that the man was holding a cigarette. After that, whenever he passed by Samara’s house, he’d stop and ask, “Where’s my little teacher?” Samara was happy to talk to this man, whom she called Tio. One day Samara’s father met Tio and talked to him about Jesus. Her father invited Tio to come to church with their family, and Tio said he wanted to. But he lived far away. So Samara’s father gave him directions to a church near his home. Tio went to that church. He gave his heart to Jesus. One day Tio stopped by Samara’s house and told them that he was going to be baptized. Samara’s family lived too far away to attend his baptism, but they were so happy that Tio had given his life to Jesus! One Sabbath afternoon Samara was sitting on the porch of her house. She saw their new neighbor, a teenage boy named Eduardo, sitting on his porch a few feet away. The two started talking, and Samara asked him whether he believed in God. He said that he used to attend church with his parents, but when his father died the family had stopped going. Samara invited him to the Sunday evening program at her church. He couldn’t go that week, but the next time he came, he brought his little brother, Marco. Samara talked to them about God’s love and asked if they’d like to study the Bible with her father. The brothers agreed, so on Sabbath afternoon Samara and her father studied the Bible with Eduardo and Marco. When Eduardo finished the Bible studies, he accepted Jesus and asked to be baptized. Samara wasn’t baptized yet, so she asked if she could be baptized with him. Her parents and the pastor agreed, so Eduardo and Samara were baptized together. It was a happy day for both of them. Eduardo and his family have moved away, but Eduardo told Samara that he is giving Bible studies, and has joined a small group in his new town. Sometime later, Samara’s church had a children’s Week of Prayer, and the leader asked her to preach one of the sermons. She gave Samara the sermon, and Samara had to learn it. It was a little hard, and she was really nervous, especially when she walked onto the platform and saw all the people in the church. But she prayed, and God helped her to be calm. When it was time to stand and speak, Samara wasn’t nervous at all. God helped her to speak well. At the end of the sermon she invited those who wanted to give their lives to Jesus to come forward. About 15 people came to the front, and Samara prayed for them. Samara has found lots of ways to influence others to let Jesus be their Friend and Guide. And she’s sure God has many other ways that He wants her to share His love with others. She has learned that age doesn’t matter. You can tell people about Jesus whether you are young or old or in between.